You can get a Super Achiever patch for all Cub Scouts in each rank that earn all Adventure pins. The Webelos patch has been available for awhile, but now there's a patch for Lion, Tiger, Wolf, and Bear. This Super Achiever patch is not an official advancement award, but is a popular way to recognize scouts that do more than the rank requirements. See the Super Achiever patch order page. With females officially joining the Scouts BSA program today, I look forward to helping them get as much as they can out of their scouting experience. Most of my involvement is currently with adult leaders preparing for high adventures, but I anticipate some volunteer opportunities to help female scouts with outdoor skills. It has been entertaining to see many adult leaders and female scouts-to-be on news feeds, interviews, and web articles as they anticipate this date. It's an exciting time to be in the first wave of a new program. We now get to see how the substantial changes to the organization over the past couple years affect national and local scouting. Will membership explode or speed up its decline? How will the percentage of male/female membership swing, and will it capsize all the way over, or just rock back? Will females be treated the same as males, forced to higher standards by uncooperative old guard, or let slide by with a wink and nod to advance quickly? Will co-ed dens, troops, and patrols soon be the norm? 2019 looks to be yet another interesting year for Scouting in America. 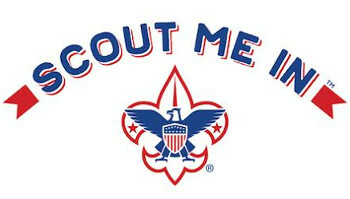 Best of luck to all those new Scouts signing up or crossing over.